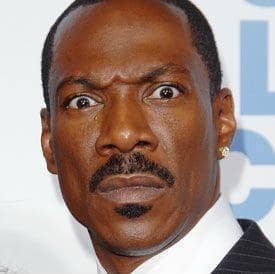 Eddie Murphy sees da plane! Da plane! The Oscar nominee is attached to star in a feature film version of the TV classic Fantasy Island. Murphy was first linked to the project a few months ago by IESB.net and now The Hollywood Reporter has confirmed that the Dreamgirls and Beverly Hills Cop star will topline the project. Fantasy Island will be produced by John Davis, Marc Toberoff, Leonard Goldberg and Lucas Foster. According to THR, "Murphy will play multiple roles in the film. ... Described as a family-oriented comedy, the project will be written by Jay Scherick and David Ronn, who most recently teamed with Murphy on Norbit." Gee, that makes us oh so very excited for Fantasy Island.